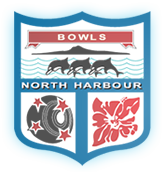 Following hard on the heels of the hugely successful Bert Sutcliffe Retirement Village Birkenhead Men’s Pairs two weekends back, this coming weekend sees the “Summer of Bowls” roll back into Birkenhead with The Good Home Birkenhead $6,500 Women’s Pairs getting underway 8.15am on Saturday 16 February. The high calibre field is sure to entertain and throw up some surprises along the way. Featuring some of New Zealand’s top women bowlers and a former Australian Jackaroo to mix it all up and keep it honest. Debbie White, Selina Goddard, Lisa Prideaux, Wendy Jensen, Ashleigh Jeffcoat, Marilyn Emerton, Leeane Poulson, Linda Ralph, Kimberley Hemingway, Lisa White, Dayvinia Mills, Glenys Whiteman along with leading Harbour players Ruth Lynch, Lisa Parlane, Elaine McClintock, Anne Dorreen and Trish Croot to name a few, will all be in action chasing a share of the $6,500 prize money on offer..
All the action culminates Sunday afternoon with four finals at 3.15pm. The Club is open from 8am each day, visitors are welcome. We are easy to find at 95 Mokoia Rd Birkenhead.